Exceptional service and professionalism are two parts of the value New Braunfels customers get from Crystal Clear Pools. We have a team of highly trained technicians who are committed to protecting your investment. We both know that maintaining and caring for a pool requires proper knowledge and takes a lot of work. Owning a pool in New Braunfels is something that should allow you to have fun and relaxation with your family and not bring stress and extra work. Crystal Clear Pools is here to take care of your pool and ensure its longevity. Pool cleaning is a preventive practice that will go a long way to protect you and your family from bacteria and other contaminants. At Crystal Clear Pools, we understand that the needs and budgets of pool owners in New Braunfels differ, which is why we offer different pool cleaning and maintenance packages. 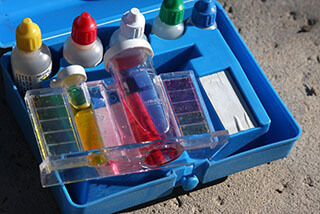 We pride ourselves in offering personalized and attentive pool cleaning service to each of our clients. Whether you want your pool to be cleaned every week, bi-weekly, or on a monthly basis, we got you covered. Our top priority is to ensure exceptional service and complete customer satisfaction. Why keep bothering yourself with labor intensive pool cleaning tasks and cleaning supplies when you have a consistent and reliable New Braunfels Pool Cleaning Company ready to help? It’s time you focused on enjoying a healthy, clean, sparkling pool while we take care of every other thing, from cleaning to maintaining your pool. No matter the pool size or how frequently you want us to service and clean your pool, our friendly pool cleaning technicians will ensure that everything is carried out efficiently and professionally. We are respectful of our customers’ privacy and accommodate their preferred schedule. 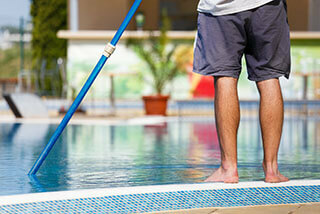 We take great care in ensuring that your pool is not only clean but also balanced properly. With pool cleaning services from Crystal Clear Pools, you can rest assured that you swimming pool in New Braunfels will always be clean and safe for your enjoyment. Regular pool cleaning and maintenance is an excellent way of ensuring your pool is in top working condition. Contact us today and let us take care of all your pool cleaning needs.